Basically, first of all, I am a huge fan of science fiction and fantasy books and I grew up with Douglas Adams and Arthur C Clarke. 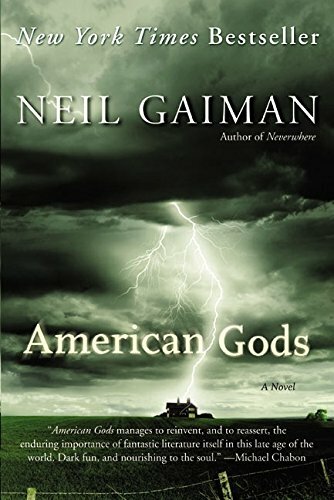 For me, this is the best of Gaiman’s books and I’ve got all of them. It’s set in the present time and talks about settlers who have settled a continent and have brought their gods with them. So, if you are Swedish and you cherish Nordic gods and move to the US, the gods go with you and the more you believe in them the stronger they are. But if fewer people start believing in them then they get weaker and eventually they become mortal and die. So, it’s about all these forgotten gods. It’s a horror story in which nobody dies. It’s a metaphor for our society – if you replace gods with values then you get the same thing. I am not the President of Croatia but I am very close to him and I think that the government should always act on behalf of the people, that businesses should always act on behalf of the people. It is like parents and children – you have to take care of the people you govern. So, I am interested in these kinds of metaphors. 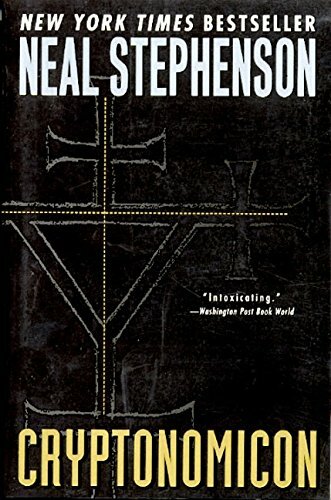 This is a novel about a new world order where information is the currency, a virtual currency in the world. There is a Pacific island where the web server is kept and the server farm is out of the reach of all governments. It’s not exactly science fiction, but technology fiction maybe. It happens in the present but there are three timelines. One now, one during World War II on this island where the Japanese and the Allies fought, and one just before the war. The characters in all three are family-connected whether they are Japanese or American and at the end the three stories merge to reveal the whole structure and the inter-relation between the characters. It’s about the internet and information. So at one point society was based on goods – you give me something and I’ll give you something. Then in the 20th century it was based on money, shuffling money around; and in the 21st century, information is king. 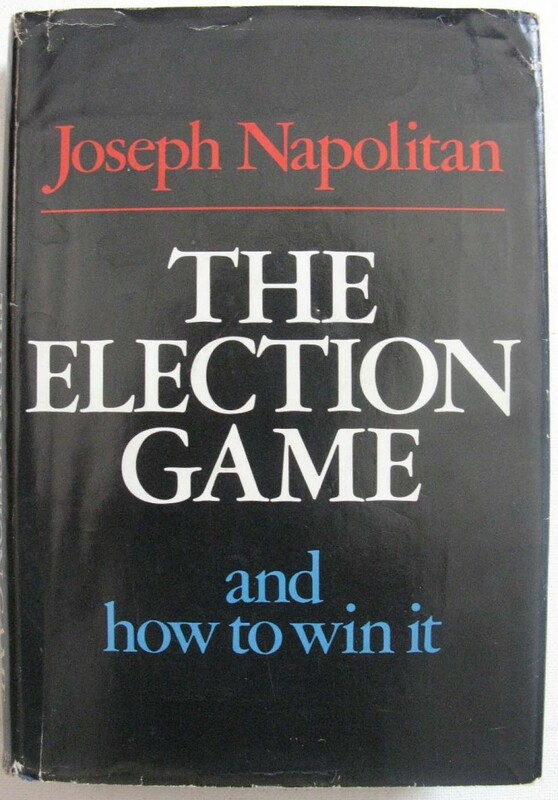 Joseph Napolitan’s The Election Game. This was written in the late 1960s and it’s an excellent book. Napolitan invented the industry of political consulting. If you want to build a house you hire an architect and builders to create something to your specifications – I want five rooms, two bathrooms… If you are sick you go to the doctor. But if you are running a political campaign you hire your friends? It’s not normal, he says. You should hire professionals. Napolitan worked on low-level campaigns for county officials and on Kennedy’s campaign in the late 1960s. So, how do you run a campaign? Well, honesty is one of the main things. And understanding what your candidate wants, using the tools available to push the message through to the target groups. You don’t need a professional to tell you that. I could tell you that. It’s easy to explain but it’s one of the hardest things in the world! Every election is different – different people, different place, different budget and time constraints. You have to juggle the variables to find the best solution and you have to craft your message to be easily understood by the highest number of people. The most common mistake is hiring marketing people to run a campaign. But marketing for supermarkets or toothpastes is not the same because you can always go and buy toothpaste at any time. In politics you have a very short time – between 30 and 60 days, depending on what country you’re in, from the announcement of the election to election day. You have to deliver the message to peak on election day. If you peak ten days too early people forget about you, if you peak after it you don’t get votes that were yours. It’s an emotional rollercoaster and it can make you sick just being involved. This is the Bible of political consulting and I look at it frequently. The state of democracy and its development in our country probably hasn’t yet reached the level of the US 40 years ago, so, although it’s an old book, the situations and cases described can be used as a template somewhere else. 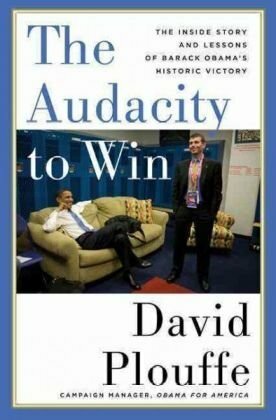 This is by the chief strategist and unsung hero of the Obama campaign. He is a political consultant like me and he created the most successful political campaign in history. Well, they did it from the grassroots upwards instead of the normal way which would be top-down. They didn’t want to rely on the party machine or the officials. The internet was the most obvious tool. People don’t understand that the Obama campaign was to engage voters in real life. If you went to the website you then got sent more and more information and messages designed to engage you in the whole process. He got 68 million votes and on the election day he had 14 million volunteers – more than one in four. It would be impossible to get that kind of force from the electorate in the UK. If Jesus Christ came back he wouldn’t get one in four volunteering because there just isn’t that culture. They broke all the records and it was a completely different campaign. They tried to create 68 million different conversations and allowed people to organise themselves to talk. In 2004 Howard Dean used a website called meetup.com, a bit like Facebook, where people created a meeting and invited friends and then got together in a bookshop or café – little events talking about politics. It was that kind of thing. This is the Bible of science fiction. It’s funny and anyone with the remotest interest in science fiction must read it. You know the story, right? 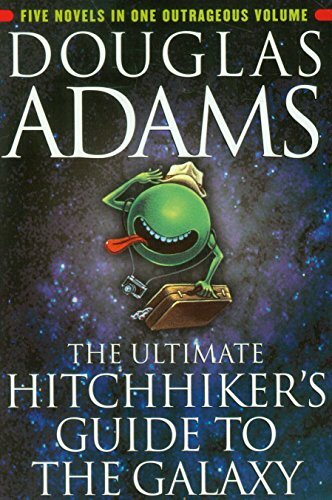 It’s the story of Arthur Dent who is lost in space because his planet is demolished and he’s trying to find a purpose in life after this event and to live peacefully somewhere. He’s a nice guy and not special in any way. It’s similar to my first two choices in that it’s about a world changing rapidly, things that were there yesterday are not there today and Dent wants to find a spot for himself and needs to deal with this. Like the end of Communism?